The education provided to kids in the preschool is called early Childhood Education. The type of education is based on games and different activities. The children at this age are not old enough to be enrolled in the elementary school. So, the early childhood education is designed to prepare students for the kindergarten or elementary education. Many people are asking this question why is the early education important? A child at this age is not able to gain systematize knowledge. Well, the Early Childhood Education (ECD) is very important for child’s physical and emotional development. It is not the typical education system. The preschool education is based entirely on fun activities. 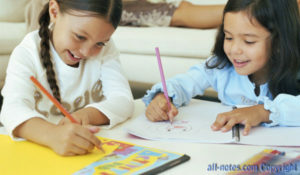 Students learn while playing with other classmates. Children at this age are like sponges. They cannot understand the structural education. However, they easily gain so many things happening in the surrounding. They learn new things very quickly. The games and activities in the early childhood education are deigned to This is the type of education which shapes the child’s personality and it has significant impact when they grow old. It maximizes the future well-being of a child. Several states in the USA have already announced plans to implement universal preschool programs. The early childhood education also improves the children’s’ communication skills. It also gives some important learning skills to the children which they carry their entire life. In conclusion, the early education is an investment which gives the guaranteed return later. This is a guest article by Cadence Education which is one of the premier early childhood educators in the United States, operating more than 100 private preschools and elementary schools as members of the Cadence Education Family of Schools across the country. Find a preschool in your area. For more information about our preschool programs, Contact Cadence Education today!